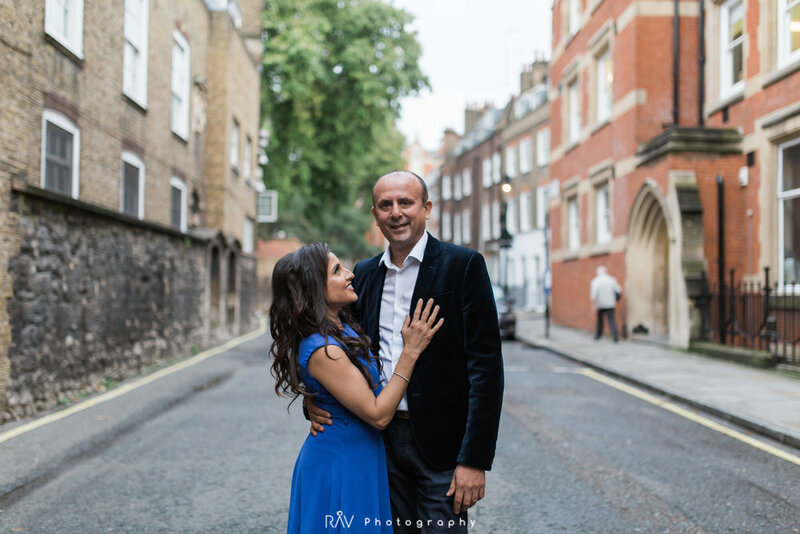 I love shooting in new places, so when Raj and Roshni said that they wanted to have their engagement shoot on the Embankment in London, I jumped at the chance! I'd visited their location quite a few times but never shot there so finding locations to photograph in wasn't a problem. 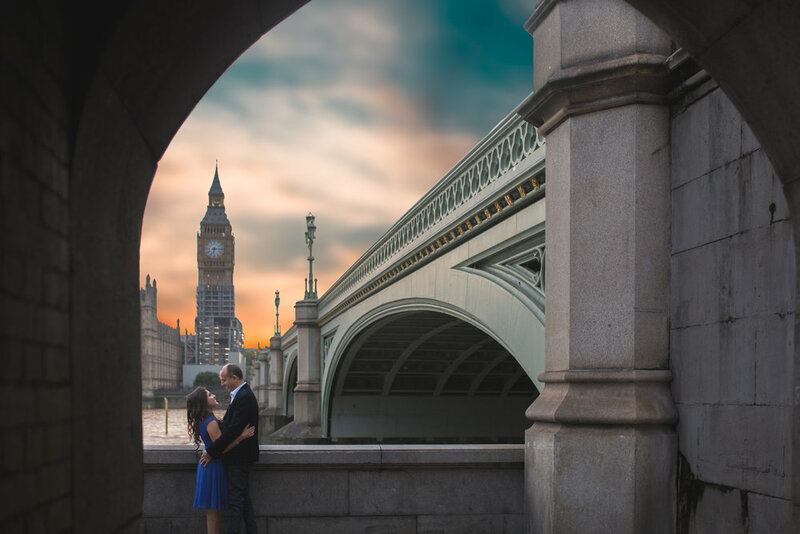 Getting to London from Leicester was a struggle; we got stuck in traffic for what seemed like forever on the way there, nearly missing our opportunity to photograph in golden hour (30 minutes before sunset) but luckily we were blessed with some great colours and got there just in time to see the sun go down!